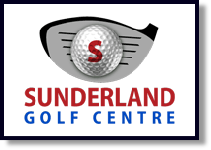 The Number One Place to Improve Your Golf! Whether you are a total beginner or an advanced player, we can help your game. There are 42 undercover, floodlit driving range bays with chipping targets & realistic greens. We have PGA Professionals on site and an American Golf store next door. The complex is located just outside Sunderland. City Centre.